Fascicle (noun): a bundle of leaves or flowers growing crowded together. Pine needles grow in fascicles, bundled together. The number of needles in a fascicle can help you identify the species of pine. 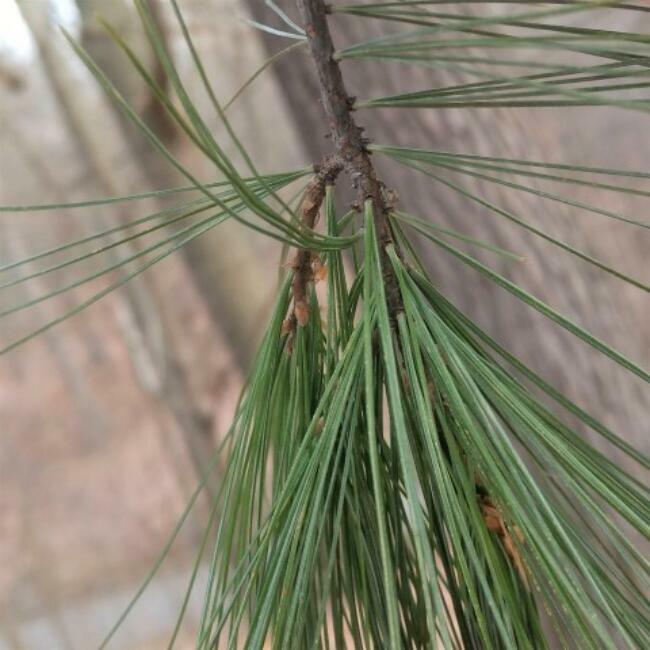 White pine is well-known for having 5 needles in a fascicle. Fascicle comes from the Latin word "fascis", meaning "bundle". Come check out the pines in High Park and enjoy those fascicles!